It’s a hard thing, giving up on that classic Igloo cooler. It’s taken a beating schlepping beers to the beach and orange slices to your kid’s soccer games. But as cooler season officially begins, instead of digging out the ol’ not-so-faithful $20 ice box of yore, consider upgrading to the hard-sided ice treasure chest of your dreams. 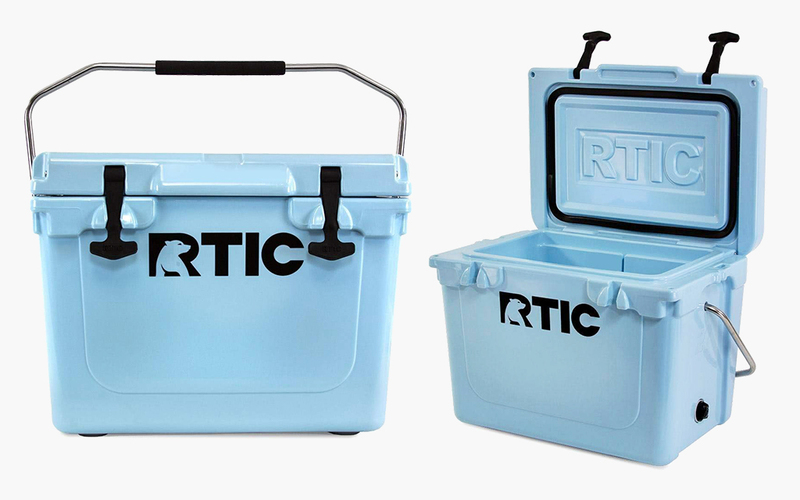 The secret is RTIC Outdoors, a direct-to-consumer gear company currently offering 20-percent off most of its hard-sided coolers on Amazon(just make sure to click the box next to the orange “Coupon” label). The brand isn’t scared to take on the competition in both design and slogan (“over built, not over priced”). And normally, their cooler prices are about 20-percent lower than that one high-end cooler company, but with the additional discounts they’re up to hundreds of dollars cheaper. The lineup ranges from the RTIC 20 (which holds 24 cans) to the RTIC 145 (which holds 145 cans), and all come in a variety of colors. But it’s the unseen engineering that makes these coolers worth considering, from the rotomolded construction to the freezer-style lid gasket to the bear-resistant design. Yes, these are specifically designed to keep beers in and bears out.